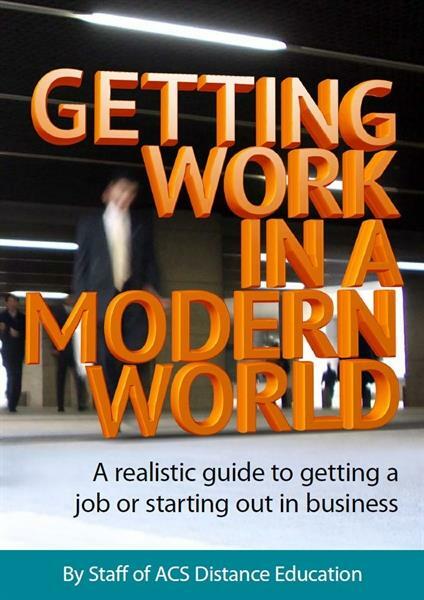 This book is all about recognising the changes in today's world and discovering a career path, remaining flexible in your approach to work and building an advantage over your competition in the workplace. We are living in exciting times; and opportunities do abound for employment; but success depends upon a holistic approach. Learning is still important, but qualifications might not necessarily be as important as you think. Learning must be coupled with other things like communication and technical skills, attitude, networking and experience. I just had a look at this on line. A good effort by the ACS team, I think the content, layout and references are valuable tools for the Modern worker and aspiring workers. There are some great tips in this publication and I will definitely get a copy as well as recommend to colleagues.